Russian energy giant Gazprom accused the European Union of levying political pressure against the company in a bid to force down fuel prices. This statement came after the EU launched a probe into the company's alleged violation of antitrust laws. 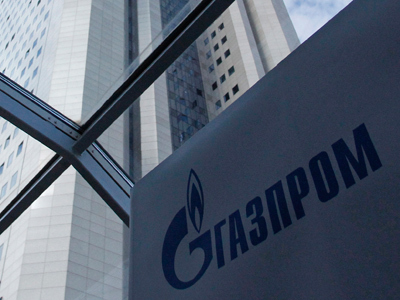 "All throughout last year, the European Commission made no effort to establish a dialogue [with the company], which both Gazprom and the Russian government tried to initiate a number of times," Kupriyanov added. The Gazprom spokesperson argued that several of the EU's weaker economies are demanding concessions on gas prices, which would be the practical equivalent of subsidizing their economies. The European Union is investigating Gazprom over alleged unfair competition and price-fixing in Central and Eastern Europe’s natural gas markets. The EU claimed Gazprom was hindering the free flow of gas across its member-states, preventing supply diversification and limiting customer choice in delivery points. Brussels also suspected Gazprom of imposing unfair costs on its customers by linking the prices of gas and oil. But the investigation will most likely be stalled by a decree signed by Russian President Vladimir Putin, which gives Moscow the right to protect its monopoly on natural gas exports from an EU probe. Putin’s measure prohibits strategic companies from disclosing information, disposing of assets or amending contracts without approval from Russian authorities, in case claims are made against them by foreign states or entities, the president’s office said in an email statement on Tuesday. During last week’s APEC summit in Russia’s far eastern city of Vladivostok, Putin said that the only reason for the investigation into Gazprom was the financial crisis currently embroiling the European Union. “It seems now that someone in the European Commission has decided that we (Russia) are going to share this subsidizing burden [of Eastern Europe]. That means the united Europe wants to keep political influence while we would be paying for this a little bit. 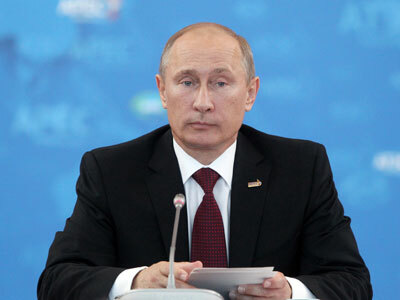 This is a non-constructive approach,” Putin said, adding that it is understandable that the crisis has motivated EU member-states to shift part of their financial burden onto others, but counterproductive.